Roasted Pumpkin and Feta Salad with Honey and Balsamic Dressing. Preheat oven to 250°C. Toss pumpkin in oil until well coated and place in a single layer on trays. Season with salt and pepper. Roast pumpkin, turning once, for 20 minutes or until golden and tender. Set aside to cool to room temperature. As the oven is cooling after pumpkin is roasted place in the pecans and slightly brown. Watch carefully so they are not burnt. Honey and balsamic dressing: Combine honey, vinegar and oil in a screw top jar. Secure lid and shake vigorously. 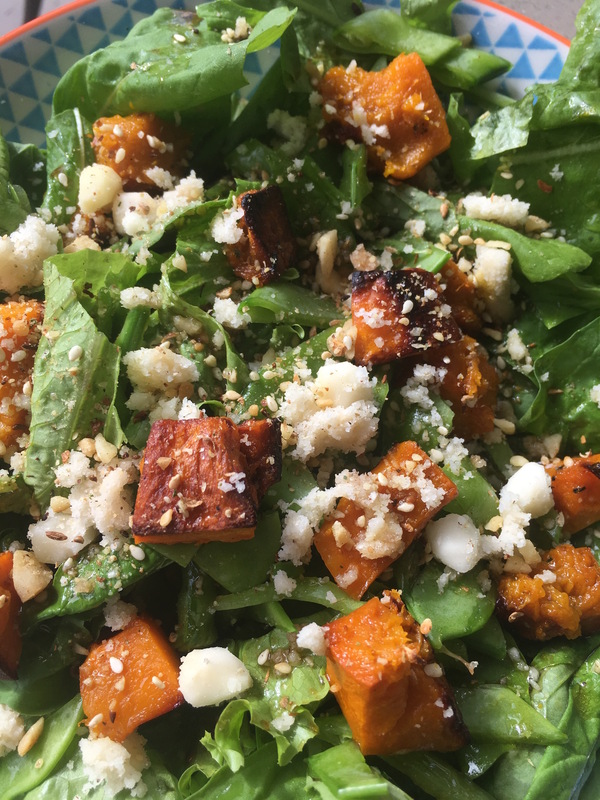 Place spinach/rocket in a bowl and top with crumbled feta, pumpkin and pecans. toss lightly, drizzle over the dressing. Season with salt and pepper. Serve. ENJOY !